There's no traction in Vancouver. I think it's either going to be Portland and Montreal or Montreal and somewhere in the South. Mexico still a longshot. The Montreal interest/viability is a lot different than it was the first time (and they probably could have succeeded if MLB wasn't so hot to get them out of there regardless). Stark's list was Portland #1 followed by Nashville and Charlotte. Of course they have to figure out the A's and Rays first. Covering all the bases of a possible expansion and realignment in Major League Baseball. Stark also covered 154-game sked, 8 divisions (likely), playoff format. I don't think Montreal will get another franchise. The first time around was too bad. If you want another Canadian team, I can see Vancouver over Montreal. Things do seem to be different this time. 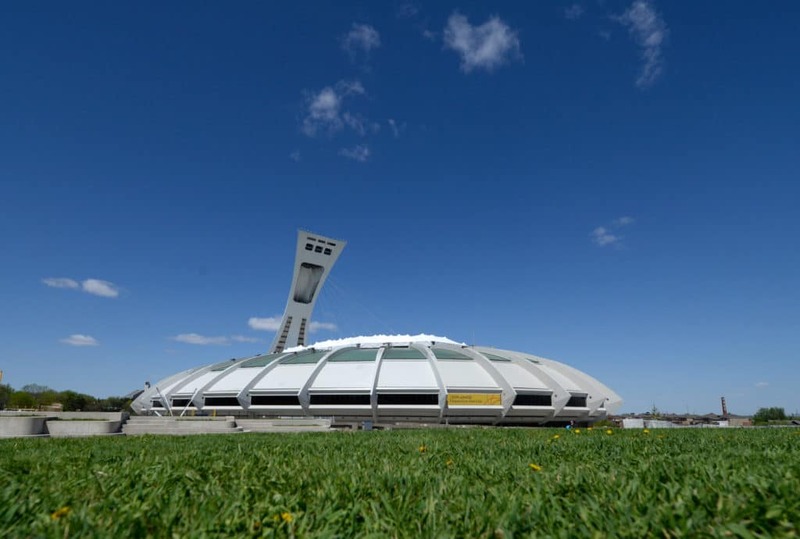 The city of Montreal seems to have gotten its stuff together in terms of plans for a new ballpark and in terms of recruiting a viable ownership group. The old Expo/current National franchise was always hampered by bad ownership (or absentee ownership in the case of Loria who subsequently became Miami's problem) and, from 1994-05, willful sabotage of the franchise by the MLB offices. Truth be told, Montreal does have a fairly rich baseball history (the proving ground for Dodger greats, Jackie Robinson, a long, good run of contention for the Expos from 1979 to 1994 when the Expos always had THE state of the art scouting and player development system, colorful and loud fan support in those good years). I think Manfred realizes that MTL was kind of done dirty and wants to rectify that wrong, hence, all the nice things he's had to say about MTL. Heck, the Phanatic's cousin Youppie is still around as the Canadiens' mascot. Yeah, and Montreal is just so much bigger than Vancover (especially when you subtract all the second-home people). Add in the time zone and the Francophile market and you've got a much more promising media property. Also, people in Vancouver are basically Jays fans and while that would probably change easily (just as it will for Mariners fans in Portland) it's not an issue to begin with in Quebec. I also think Manfred is quietly on board with this (unrevealed but well-connected) Portland ownership group already. A lot of hurdles there still, to be sure. Don't count out Vancouver. There is a ton of Asian money there. Against the DH. Against banning the shift. I would like to see relief pitchers treated like pinch hitters - "pinch pitchers". No mound visit, no warm-ups, just an immediate substitution and on with the game. Warm up is for the bullpen. Who would mind the constant pitching changes if they were instantaneous (other than loss of commercial break revenue)? That's true, if you went into BC Asian money is the play. But there is no current plan for a stadium that I'm aware of. It's in Manfred's interest to encourage as many markets as he can of course. Warm up is for the bullpen. Bullpen mounds and the field mound are different. Pitchers need to find the right landing spot etc. Not allowing warmups could cause injuries. Eliminate the #1 draft pick and the draft order being tied to won loss records. This would eliminate the tanking and some teams not trying issue we are seeing now. Dont eliminate the shift but instead add strategy to it. Allow teams to shift once an inning. Make managers actually have to think about when to use it. Limit the amount of relievers used in a 9 inning game to 5. If the game goes extras, managers can use 1 additional pitcher every 2 innings or 40 pitches. 28 man roster (5SP, 8RP, 3 catcher, 5OF, 5IF, 1PH and 1PR) Ive always liked the idea of having a designated pinch hitter and runner on the team. Union would love it because it could mean an older guy hanging on for the PH spot. Pinch runner would add strategy... deciding when to use the guy. And it could be fun to see if teams are silly enough to throw lots of money at elite runners.. Usain Bolt pinch running in the 9th of a tie game would be fun! Make the official scorer part of the Umpiring crew. Reduce interleague play to 1-2 series a year. This would require the expansion to 32 teams. Invest in E-sports and figure out how to get MLB into the e-sports realm. Its the best way to get millennials and the generation after them interested in the game again. Coincidentally Portland just announced 10 members of its ownership group tonight. Still not clear who the real money is but it includes Darwin Barney (joining Russell Wilson) and a second Nike executive (one of the managing partners is a former Nike exec). Dale Murphy has been involved as a consultant too, as has Harold Reynolds. I think expansion is out until MLB fixes some of the really bad franchises and gets the attendance back up. I have been a major advocate of the pitch clock (watching David Price take 30+ seconds between pitches in the WS was awful) and some rule limiting the revolving door of relievers. Personally I'd like to see a reliever that starts the inning or comes in mid inning pitch to 3 batters. I love baseball, but the games need to speed up, you cannot have 3:45 nine inning play-off games. Oh, I think expansion will be in the next CBA. The owners want the fees and the players will take the extra jobs of course. My guess is Oakland will stay and Tampa might not. So you could have one move and two expansion teams. Right now, as usual, having all these cities is meant to apply pressure on the markets that need new stadiums but they aren't going to wait forever. 2021 is also when the TV deals expire (except Fox which is already extended) so they likely want to factor that in (and I bet it was already considered a fait accompli when the Fox deal closed). the players will run the risk of commissioner Rob Manfred exercising his right to unilaterally implement three elements he formally proposed last year, according to sources – a pitch clock, a reduction of mound visits from six to five and a rule placing a baserunner on second base in spring training games and the All-Star Game when the score is tied after the 10th inning. Three hours isn't really that bad. What makes the playoff games longer, overmanaging, or television? All of the above. Commercial breaks are 30 seconds longer. A pitch clock probably helps more in the playoffs since there are more pressure-filled confrontations. The extra off days have also clearly led to more pitching switches with starters often going only 2-4 innings by choice. It is fascinating because playoff baseball used to load up innings on the top 3 starters and the top 2-3 relievers. Now everybody has deeper bullpens. I am fine limiting the mound visits and even with a pitch clock. Don't think the pitch clock will knock much time off the game since they don't apply with runners on. Expanding the minimum number of batters to 2 or 3 might knock more time off the clock with fewer switches between innings. Or, if they don't sign by the deadline, preclude them from signing with anyone until May 1. I don't really understand why that's a problem, but especially don't understand why you think it's on the players and their agents. The owners have all the power. How about making teams pay a tax, or give up a draft pick, if they don't sign all their players by a certain date? And I don't see how it hurt any teams (Boston, Milwaukee, Philadelphia in particular) to wait out players last year. Anyway, I'm against anything that makes "free agency" less free. Getting rid of comp. picks and qualifying offers completely would be another good step, Keuchel and Kimbrel and Pollock would have been signed a month ago if not for that (Harper probably not). What is broken about the system now? What teams are suffering? They are happy with the players they have for the most part. They are not sitting around with only 20 guys on their 25-man roster, desperately wishing they could add a few 32 year-olds. Something about that does need to be fixed but it's much bigger-picture. I agree - don't know why the player and his agent would be penalized when both the owners and the player have to reach an agreement on any kind of signing. The suggestion would put even more power in the hands of the owners. I agree a signing deadline would not do much. The only people who really care are impatient fans and its not like this impacts on our baseball viewing during the season. Ideally we want baseball free agency to work like a market. One of the problems is that it does not really. Teams have incentives to make money instead of trying to win. Do we really think not bidding on Machado and Harper gives the Yankees a long term competitive advantage? They have the money to pay salary cap penalties and still win and still make a healthy profit. Analytics that have shown that younger players are worth more are part of the problem. There should be a collective bargaining solution to pay young players more as part of the solution. Teams have also taken those analytics and gamed service time to get an extra low paid year out of players. This does not help them win. If Vlad Guerrero Jr. is ready for the majors we need to have a system that will call him up to the majors. Significant parts of baseball are broken. Late signings are a tiny, insignificant part of that IMO. I disagree strongly on both points you present here. First, your usage of 'free market' here is totally opposite of how the term is currently used or how an economist would define it. We don't say that any other business isn't following a 'free market' approach, because it prices its products or pays its workers with the intent of making a reasonable profit and return on investment. Operating at a profit which covers the cost of capital is the express purpose of any business. To do otherwise is to go bankrupt. 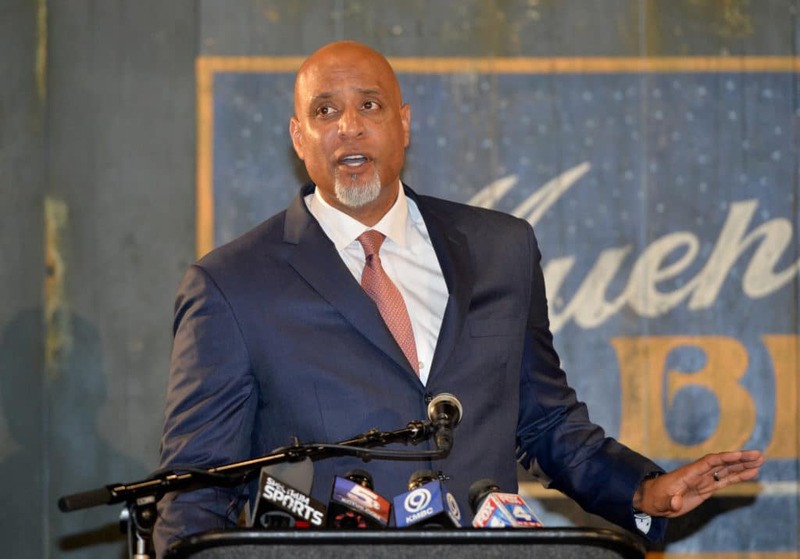 You are suggesting that the goal of baseball ownership should be to keep paying money into the team, running said team at a loss, in order to seek wins. While there certainly are times where operating at a loss, as a prelude to a new stadium or media contract, might make great business sense to increase fan interest and garner a larger share of the local entertainment spending, that often is not the case. Second, I don't think the Yankees blowing through the lux cap and paying the tax helps baseball at all. In fact I believe IT SEVERELY HARMS BASEBALL by reducing the competitiveness of other teams. If this is the approach, then the absolute biggest money teams will almost always win. That is one of the most serious problems with baseball as a sport. I think we should actually have hard caps on team salary budget, as football does. Football, over time, is more competitive than baseball, which is one reason it is more popular. The old era of the Yankees always win is only a great thing if you live near NYC. Having the Yankees blow through the salary cap would turn baseball into Harlem Globetrotters vs patsies. Baseball should follow a modified NBA approach and adopt a minimum team salary budget. The minimum limit would be based upon total salary spent during the entire season, not a point in time, with the team writing a check to its players to cover any shortfall in spending for the season. On another topic which has come up here: there are serious fairness problems with increased revenue sharing. Teams aren't sold by the league for a fixed price; teams are sold by owners. Large revenue teams sell for more precisely because they have more revenue. If you increase sharing of local revenue, then you instantaneously increase the market value of small market teams while reducing the value of large market teams. For a large market team this will not be a trivial loss in value -- an ownership group which has just purchased a large market team would find itself in a negative value position. The issue of players getting a fair share of total revenues needs to be addressed by straight-forward means, such as adjusting maximum and minimum team salary spending, increasing minimum player salaries, increasing the % of actual value to be awarded by arbitrators, and starting arb eligibility earlier. Expansion seems contrary to the quality of the game. I don't see elderly players not getting the salaries they seek as a particular problem. The union has favored an almost seniority-based salary structure, which is totally counter to player value. It is not a stable system and it needs to change. Formal analytics have pounded into management's consciousness the folly of over-paying for players steeply declining or even worthless mid-30s and beyond seasons. The players will need to seek their increased remuneration earlier in player careers. The baseball industry is NOT like any other business- it enjoys special treatment as it is a monopoly exempt from antitrust regulations. Ownership has powers unlike any other owners outside the sports world.